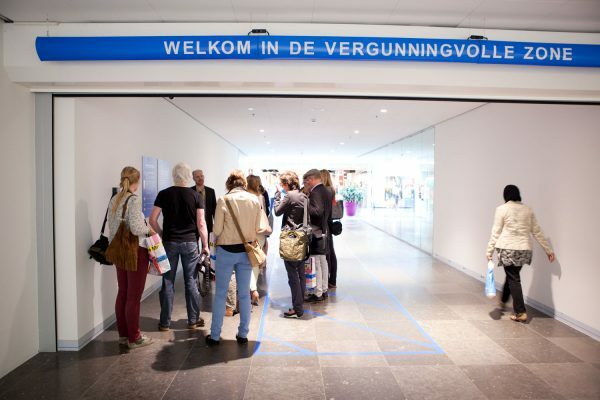 Initially there were no house rules in the public space that is Hoog Catharijne. But these have been introduced increasingly over the years: there is a duty-to-report policy for distributing flyers, making music, demonstrating or selling goods and many forms have to be completed. However, Finnish artist Pilvi Takala, who is fascinated by (un)written rules, has managed to free this space again. She has requested permits for all kinds of activities that are not usually allowed here. Backstage walks in Hoog Catharijne in the framework of The School of Temporalities. Annette Krauss and Maja Bekan invite the audience at Hoog Catharijne to a series of walks that explore the backstage of time. 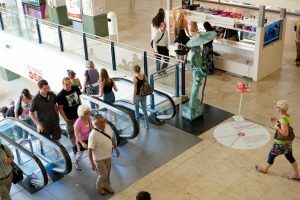 Builders, office workers, researchers, cleaners, writers, security guards and residents have been asked to join the public walks as guiding experts, and to consider the questions: How do you deal with time in Hoog Catharijne and would you be willing to share your time with us? During Talks at TAAK The School of Temporalitiesinvites to a time mapping session. Together we will look at the entanglement of time and the everyday life in order to consider the question of Public Time. What are predominant time patterns of for example a freelancer? Who owns these time patterns, who is owned by these time patterns and for whose benefit?